Last year in 2013, the Regional Tibetan Youth Congress of New York and New Jersey invited me to speak on the founding day of the Tibetan Youth Congress (TYC) which I could not attend. Later in 2014 on the 16th March they have invited me again to participate in a panel discussion; I could not attend this also due to prior engagement. Therefore, I have decided to present in writing the things that I wanted to share during these two meetings and add some BACKGROUND information. In general, it is the prerogative of the TYC’s leadership and its members to decide what stand it will take at present and in the future. However, being one of the founding members of the TYC who was among those taking the main responsibility during its inception, I thought it will be beneficial if I explain how and why TYC was established and the adoption of its aims and objectives in light of the ground realities and situations prevailing then. I consider this my earnest duty to explain. It is important to know one’s history whether it is of individual, organization or a nation. History may have elements of happiness and pride as well as regrets. Whatever it may be, one should not interpret history based on delusion and preconceived notions because such an act will not hold in the long run. Instead it should be based on factual occurrence. In the case of our society, I have a feeling that we do not know or care to know the history of recent decades let alone past centuries. Therefore, I appeal everyone to pay attention to our history. I especially appeal to the younger generation to know the ground realities of history. TYC was not founded overnight. Rather it was the result of prolonged discussions, deliberations and brainstorming. I still clearly remember that from 1963 onwards Tenzin Namgyal Tethong and I met many times and had many discussions. The four founding members of the TYC were, Kasur (and former Secretary to H.H. the Dalai Lama) Tenzin Geyche Tethong, Kalon Trisur late Sonam Topgyal Dzachutsang, Kalon Trisur Tenzin Namgyal Tethong and myself. However, during the actual establishment, many individuals were involved and everybody contributed their best and thus the movement began. The underlying source of motivation and reason behind establishment of the TYC movement was that Tibetans throughout the Tibetan plateau have equally suffered under the Chinese Communist invasion and occupation irrespective of whether they are under the direct administration of Gaden Phodrang government or outside of its administration. As a result, tens of thousands of Tibetans were murdered, injured and imprisoned and several thousands were forced to flee into exile. Under such an upheaval, Tibetans have united under the leadership of His Holiness the Dalai Lama to struggle against the Communist Chinese occupation. This is the main basis on which the TYC movement was started. Recognizing that the inability to pool together the potential of the Tibetan people in the past several centuries has made the situation like this now. Learning from the past experience, all the Tibetans will eschew parochialism and sectarianism and personal differences, and vow to unite and stand together solid like an iron ball. Henceforth, we unanimously decide to make every effort under the leadership of His Holiness the Dalai Lama to struggle for the just cause of the Tibetan people and enthusiastically reached on taking this Oath of Allegiance. Following this taking of oath the Gaden Phodrang government which came into exile with His Holiness the Dalai Lama saw continuity while undergoing a major political transformation representing all three provinces of Tibet. This is one of the most significant achievements in our recent past history, which has enabled a revival of a powerful political awareness, after several centuries, among all Tibetans who share common religion, culture, language and tradition. Promptly implementing the spirit of the Oath of Allegiance, His Holiness the Dalai Lama when establishing the Commission of Tibetan People’s Deputies in the same year, 1960, had three representations from each traditional region of Tibet, and a representative from the four schools of Tibetan Buddhism comprising of 13 members in total. This farsighted vision of His Holiness the Dalai Lama to establish democratic administration was aimed to represent all Tibetans from three regions of Tibet in the long run rather than to represent a handful of Tibetans in India. In order to materialize the Oath of Allegiance to unite all the Tibetans, it is necessary to respect the unique characteristics of each of the three regions of Tibet on equal basis. Respecting and recognizing everyone equally is the most important condition that will sustain the unity of the Tibetans as one people. Whether it is co-existence between Tibetans and Chinese or to sustain the unity among the Tibetans, it would not be possible if there is inequality. This is same in the case of promoting unity amongst the different religious traditions and sects. It is surprising to note that these days nobody even discusses the process of this historic achievement, let alone commemorate it. As a matter of fact, whether one speaks about the Middle Way Approach or independence or self-determination, it will be practically impossible to explain the ground reality if we ignore the process under which this great historical transformation took place. The sense of unity among the Tibetan people that exists today is solely because of the farsighted guidance and leadership of His Holiness the great 14th Dalai Lama. This achievement alone makes His Holiness the 14th Dalai Lama the most benevolent to the Tibetan people among the successive Dalai Lamas. His Holiness the Dalai Lama is the one to whom the elder generation, including my father, who came into exile, took the Oath of Allegiance in 1960 and it is clear that the solidarity and unity among the Tibetan people from all three regions of Tibet is sustained mainly because of our devotion and unwavering faith in Him. From my perspective, I personally believe that the Oath of Unity was offered to the His Holiness the Dalai Lama and not amongst us Tibetans. Therefore, some like-minded people including myself always felt it important to CONTINUE the relationship between theGaden Phodrang institution and the Tibetan polity. As an aside perhaps, this concern could be because of lack of courage and short sightedness. Although there was no one who spoke out against this major historic transformation, it wasn’t without some feeling of reservations. These reservations/suspicions were not just limited to regional or religious feelings alone. But some have concerns based on ground reality and historical reasons and it is natural to have reservations for some people. However, these reservations existed mainly during the time of our parent’s generation. As mentioned earlier, as the Tibetans in exile remain engaged in extensive discussion to promote unity among all the Tibetans, His Holiness the Dalai Lama, almost in all his speeches during that period, has strongly emphasized all Tibetans to remain united, by leaving aside regionalism and religious differences, as that is the need of the hour. Therefore, we the younger generation felt it necessary to launch the TYC movement to inculcate the unity among Tibetans so that the present and the coming generations do not carry the baggage of historical differences. The primary aim of the TYC was to promote and protect national unity and integrity by giving up all distinctions based on religion, regionalism or status. Upholding this basic objective, TYC has continuously and successfully served since its inception. For example, let me explain the reasons why TYC’s logo and flag both have a map of Tibet. The map was deliberately chosen to symbolize and support the historical transformation and be a reminder of the oath of unwavering unity. It was also so that the very logo and flag of organization would be clear in projecting the objectives of the TYC. Similarly, another important reason to launch TYC movement was to nurture the energy and resource of increasing number of youths studying in different universities and graduates from the Tibetan schools run by the exile administration. It is aimed to ensure that their energy is not wasted but used for the service of the community and the administration. Also, the TYC has made meaningful contribution to strengthen the democratic process in the Tibetan exile community. Since its inception, the TYC has functioned as an organization upholding the democratic practices. As the TYC has been able to continue the democratic process, both in theory and practice, it has been of concrete help in establishing a democratic system in our community. These days some people opine that to achieve genuine democratic system is our ultimate goal. I do not believe this point of view is valid. Hundreds of thousands of Tibetans have sacrificed their lives; hundreds of thousands had to come into exile; and millions are still suffering under the occupation. Especially since 2008 Chinese authorities tightened their grips on Tibetans with unprecedented repressions throughout Tibet. Therefore, Tibetans were forced to display their indomitable spirit, some resorting to self-immolation since 2009. It is clear that these sacrifices were not made to struggle for their democratic rights but rather for the preservation and protection of unique Tibetan identity and characteristics, which are at the verge of extinction. However, as mentioned before, in order to promote and sustain Tibetan unity we must ensure equal respect to all three Cholkas and different religious traditions of Tibet and the best way to achieve this is through the path of democracy. Some people believe that the movement of TYC was launched solely to advocate the stance of independence. This view does not confirm to reality. When TYC movement was started, there was no division between people supporting independence and autonomy. The Middle Way Approach of His Holiness the Dalai Lama was made public much later. When nearly 100,000 Tibetans initially arrived in exile, the immediate challenge was meeting the people’s welfare needs, EDUCATION for the younger generations, establishing settlements and schools for the preservation and promotion of unique Tibetan religion and culture and the re-establishment of the monasteries. Similarly, China was also engulfed in the era of the “Great Leap Forward” and “Cultural Revolution” etc. All of China, including occupied Tibet, was in the midst of a power struggle and extreme activities for a long time. Everyone knew that there was no space in putting forth any kind of reasonable discussion. Since the opportunity and situation for formulating a definite policy to resolve the Tibetan issue had not arisen yet, the objective to restore independence naturally remained. Therefore, it is under such circumstances that independence became included as one of TYC’s objectives. TYC was not established solely to advocate the stance of Tibetan independence and everyone must know this fact. The TYC is an important organization in exile having long history and at present also it is indispensable for the just cause of the Tibetan struggle. Therefore, it is important that TYC should continue functioning as before for the larger interest of the Tibetan struggle. 1) To dedicate oneself to the task of serving one’s country and people under the guidance of His Holiness the Dalai Lama, the Spiritual and Temporal Ruler of Tibet. 2) To promote and protect national unity and integrity by giving up all distinctions based on religion, regionalism or status. 3) To work for the preservation and promotion of religion and Tibet’s unique culture and traditions. 4) To struggle for the total independence of Tibet even at the cost of one’s life. These days there is great debate regarding the position of the TYC. Although basically, till now there is no change in TYC’s stand on independence on 17 September 1988, after His Holiness the Dalai Lama presented the Strasbourg proposal, TYC passed a resolution stating that, “fundamentally there is no change in the TYC’s stand on independence, but on the ultimate decision on the Tibetan issue [it] will follow the guidance and leadership of His Holiness the Dalai Lama”. Hence, if TYC functions as per the resolution mentioned above and particularly bear in mind its established aims and objectives and serves the Tibetan people, our religion and polity, it will help avoid disagreement within the TYC and will also enable it to maintain the significance and continuation of the organization. Taking into consideration the changing geopolitical situation around the world in general and particularly in Tibet and China, His Holiness the Dalai Lama felt the need to frame a policy for the solution to Tibet’s problem. Around 1974, His Holiness the Dalai Lama had an internal discussion on the mutually beneficial Middle Way Approach with the then Kashagand Chairman and the Vice-Chairman of the Assembly of Tibetan People’s Deputies. Later on, this policy was discussed publicly following the democratic process and finally adopted as official stand of the Administration (Central Tibetan Administration). It also received wide circulation and strong support from the international community. I am a supporter of the Middle Way Approach and this is not based on blind faith. I have done thorough research and learned from my own experience how the world thinks and particularly the long-term benefits for all the Tibetan people. Thus through a logical reasoning I have come to my conviction. Apart from ensuring the unity of the Tibetan people, the Middle Way Approach seeks to preserve and promote the unique identity of the Tibetan people. This being the most brilliant and creative approach in resolving the Tibetan issue, I am always impressed by the wisdom behind this approach and wholeheartedly respect it. Neither His Holiness the Dalai Lama nor we the supporters of the Middle Way Approach have ever asked to support this policy because His Holiness the Dalai Lama propounded it. However, some who claim themselves to be advocates of independence say that now it has been cut, sold, compromised, etc., sometimes directly mentioning His Holiness the Dalai Lama’s name in this. When “compromised” is said to have been made, other than an empty talk about Tibetan independence it is clear that leave alone knowing the history of the nation and people for thousands of years, they do not know or do not care about the history of the past 100 years or so. His Holiness the Dalai Lama took the responsibility of temporal and spiritual leadership from Sikyong Tagdrak Rinpoche at age of 16. In the official documents it was described a grand and pompous show as if a huge power has been transferred. As a matter of fact, the political situation in Tibet had already reached a very critical situation and was becoming unmanageable from all sides. Therefore, there was no option but to request His Holiness the Dalai Lama to take over the responsibility. Is handed over to His Holiness”. This expression of the public is fairly true. Whatever it is, frankly to those who have said, “It has been cut”, “It has been sold” I want to ask, “What has been cut?” “What has been sold?” The situation is that these have been cut and sold from way back. As far as the Middle Way Approach is concerned, its essence is clear. The primary objective is to seek genuine autonomy in order to preserve and promote unique Tibetan identity while maintaining the unity of all Tibetans from three Cholkas as pledged in the Oath of Allegiance. Before adopting any policy based on history and international law, first of all we must take into consideration whether the majority of the Tibetan people support it or not, would it gain international support? Would the initiative succeed? Finally whether we can rationally argue with Chinese government when meeting with them face to face? Therefore, we all know how much support the Middle Way Approach enjoys at the international stage. I have been involved in shouldering responsibility on this. Internationally, many governments, parliaments and politically influential personalities around the world have not only supported but also personally involved themselves for the success of this policy recognizing the pragmatic aspect of this approach. For example, the United States has supported this policy for a long time and particularly in 2011, after the meeting between Holiness the Dalai Lama and President Barack Obama, the White House has publicly supported the Middle Way Approach by applauding and highlighting it in its official statement. There are some who say that the Middle Way Approach is a failure since the Chinese government has so far not accepted our demand for autonomy. Nobody believes that the issue will be resolved within a few months or years through dialogue with the Chinese government and it will be politically naïve to think so. Sino-Tibetan problem is centuries old and historically a complex and deep problem. Moreover, since the Chinese government could not logically challenge the Middle Way Approach, they are attempting to misrepresent the issue and make false accusations. Internationally, there is no one who feels the Chinese objection to the Middle Way Approach has any justification. At the same time, increasing number of Chinese people, particularly the intellectuals and younger generations who know the actual situation of Tibet, express their support and sympathy for the Tibetan cause. I am not criticizing those who advocate independence. Most of them are dedicated and equally working for the common cause. They are also equally devoted to His Holiness the Dalai Lama and do not go against him. Hence, it will not only be improper and unrealistic but also immoral and undemocratic if I start criticizing all of them under the pretext of being supporter of the Middle Way Approach. Those who advocate independence would presumably be doing so in the interest of all Tibetans belonging to three Cholkas. And it also appears so while listening to them. Yet, so far I haven’t seen anyone explaining the scope of support at international stage, how and with whom did they discuss with and what argument has been used. If there is anyone then I would like to apologize. These are very important matters. If, for example, there are some people who believe that it will be reasonable, both legally and historically, if we strive for the area that was directly ruled by the then Gaden Phodranggovernment, which is equal to present day “Tibet Autonomous Region” (TAR). If they believe that there is space to strive for that, then they must be clear. There is nothing that says one cannot express such view. By merely expressing such opinion they can’t be considered as being opposed to the unity of Tibetan people and integrity of Tibetan areas. Today, due to His Holiness the Dalai Lama’s unwavering guidance and leadership there is a great sense of solidarity amongst Tibetans and we are united. It is not a question of benefit for one and the other side experiencing loss. Some think that “TAR” enjoys more autonomy rights and therefore, Tibetan areas outside of “TAR” are trying to incorporate into it. This is not the case. Although most of the Tibetan areas outside the “TAR” also have namesake autonomy, however, due to geographical situation, capability of the Tibetan authorities in these areas and style of governance, the situation is much better in many of these areas than the “TAR”. The geographical boundary of Tibet under the erstwhile Gaden Phodrang government was not as the same the one we have created in our imagination. Some even believe, including many of our supporters, that prior to the 1940s all the three regions of Tibet were under a united independent nation. However, this is not really the case. As stated earlier, our biggest problem is that we do not pay attention to history and create a beautiful and a blissful image. If we continue based on this situation we will face difficulty in reality. Since, eventually we have to make effort at the international level and also engage with Chinese government, the important thing is that we must have something concrete to show to the Tibetan people. We cannot effort to entertain the general public under pretension. For example, I have heard this explanation by advocates of independence. Why are we not seeking independence since the United Nations has passed three resolutions on Tibet in which there is reference to right to self-determination. It is true that there were three resolutions and especially the second resolution mentions about the right to self-determination. However, if they argue independence based on that resolution, then it naturally creates suspicion and doubts; one, whether they are aware of the historical boundary of Tibet; secondly by using such an explanation, could the objective of struggle be a different one. The reason is because the Tibet in the UN resolution is not same as the Tibet that is in our objectives; it is only those areas that was administered by the Gaden Phodrang government before the Chinese invasion. In area, it approximately corresponds to the areas of present day “TAR”. This is because the UN resolution was passed as a result of efforts made by the officials of the then Tibetan government and not adopted by the UN on its own. At that time, those who made appeal on behalf of Tibet were not referring to the Tibet that we aspire today. The memorandum submitted to the UN General Assembly on the 7th of November 1950, from Shakabpa House, Kalimpong clearly says, “Chinese troops crossed from many areas of the Drichu River. Drichu has for long been the boundary between China and Tibet.” The then Tibetan government was talking only about the Tibet under the political control of the Gaden Phodrang government and not about the Tibet which we have in our mind today. This was not done intentionally, but was the political reality prevailing then. Some people further argue that the existing international recognition of Tibet as an independent country has been destroyed. International legal experts and strong Tibet supporters could not clearly establish the legality of an existence of an unquestionable independent sovereign state of Tibet according to international law in the past few centuries. Nevertheless, some recognize Tibet as a state of de-facto independence for 40 years from the time when the great 13th Dalai Lama reaffirmed Tibet’s independence in the year 1913 till the signing of the so-called 17-Point Agreement in 1951. This means that even though diplomatic relations could not be established with the United Nations and even with the neighbouring countries, yet Tibet existed independently by itself and was not under the subjugation of any foreign force. This therefore, recognized Tibet as de-facto independent country; yet again Tibet here refers to the one which is ruled by the then Gaden Phodranggovernment. Therefore if the argument for independence is based on such reasoning there is a suspicion that the Tibet being referred to be the one ruled by then Gaden Phodranggovernment only. A free and democratic society not only allows discussion but such discussions must also occur. For example, there are ongoing discussions between proponents of the Middle Way Approach and independence in our society. Both sides are putting forward their arguments in writing and exchange ideas. Since each Tibetan has to shoulder the responsibility of the Tibetan cause, thorough public discussion is inevitably necessary. Yet, I believe and expect that such discussions must be based on historical facts, with dignity and particularly upholding the pride of Tibetan people. Discussions without an iota of responsibility, claiming to be exercising democratic right and irresponsibly criticizing others are the misuse of democratic rights. Sometimes it is unfortunate to see the act of some people who can hardly utter a single word against the Communist China but has the capacity to criticize His Holiness the Dalai Lama and the Central Tibetan Administration in volumes. This is a shameful act. Instead of looking at what one could sincerely contribute without regret, always criticizing others is not just irresponsible but also clearly not having pride in one’s own people. We must know the reasons why we Tibetans enjoy sympathy and unparalleled support and concern for the just cause of Tibet at international stage. In the world, we Tibetans are not the only one fighting for a just cause. There are many more and some are even more serious and urgent than ours. But unlike others we have a special feature in our case. That is we have an unparalleled leadership that nobody has and our struggle is based on morally just issue, non-violence and justice and therefore there is a greater appreciation and support. If we lose this basic moral character then we lose Tibetan identity itself and this loss is more grave than the argument between the Middle Way Approach and independence among us. Therefore, I firmly believe that the authorities both religious and lay personnel must, through personal conduct, stress more on morality to the society when they address them. As mentioned above, because of various external conditions and especially the leadership and guidance of His Holiness the Dalai Lama, after many decades, all the Tibetans of three regions are now enjoying unprecedented unity and solidarity which is the greatest achievement of the Tibetan people worthy to be written in golden letter in the annals of history. It is particularly evident that, even though the generation has changed and the conditions are grave, yet Tibetan in Tibet’s commitment to unity, solidarity and will power is growing ever stronger by years. “On this the Land of Snows! I believe that the present generation has the historical responsibility to maintain this unity of Tibetans and pass it on to the coming generations. It is utmost important to strive to achieve this without failure. In short, I sincerely believe that I have a moral responsibility to explain about the origin of TYC’s stand and its aims and objectives, and also the aims and objectives of the Middle Way Approach. Since I have had the golden opportunity to serve His Holiness the Dalai Lama and the Tibetan people for about 50 years and gained some experience, my sole aim is to help clarify some issues and beyond that I have no other motives. Whatever I have stated are my true feelings to explain the reality and does not mean to support or criticize any particular group. I sincerely apologize if one gets such an impression from my writings. And the guide for future happiness”. Note: I have purposely avoided the names of the writers of these songs and singers. The author is former envoy of His Holiness the Dalai Lama, and former minister in the Tibetan exile government. 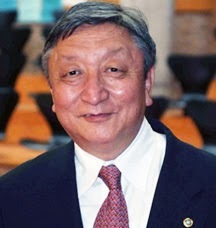 He led several delegations in nine round of talks with China. Layman translation of what Lodi Gyari la said. You guys invited me last year and I said no, you guys invited me this year and I again said, NO! If you guys invite me next year the answer will still be NO! If you guys ever expect me to step a foot on your place, first change your freaking Independence stance to Middle Way!! Wake up and smell the ground reality suckers cos I got no time for dreamers! I needs to spend some time learninng much more or understanding more.